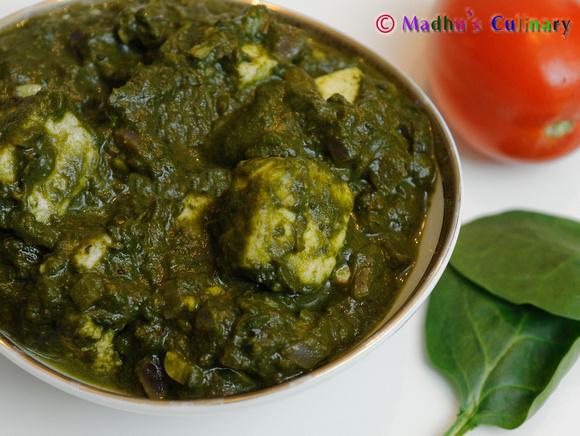 Homemade Paneer / Indian Cottage Cheese ->Suvayo Suvai | Simple Vegetarian Recipes, Easy to prepare and healthy to eat! 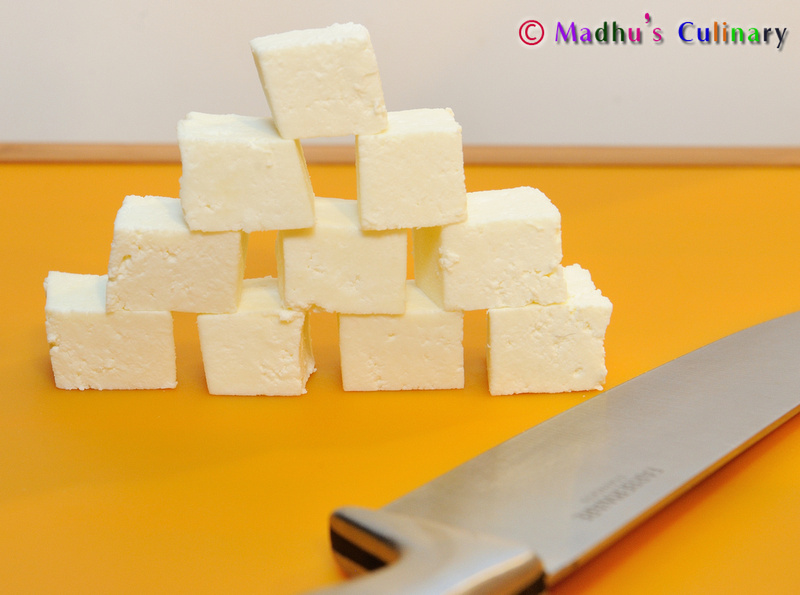 After doing couple of mouthwatering Paneer recipes, I said to myself – lets do the Homemade Paneer. So I took the task of doing it at home and was challenged to use the 2 % milk instead of the usual whole milk. Surprisingly, it came out with flying colors (or just plain white?) and was super soft. Take a heavy bottom pan and add the Milk and Heavy Cream. Mix it well. Bring it into boil. When it boils and starts to lather, reduce the flame. Add the Lemon juice little by little and keep mixing the boiling Milk. You can see the Milk curdling and whey water separated completely (it will look very pale green). Now switch off the flame. Take another heavy bottom vessel and spread the Cheese cloth or Muslin cloth tight over it and sink it little shallow by pushing in the middle. Now strain the Curd and collect the whey water. Squeeze the water completely out of the Curd. 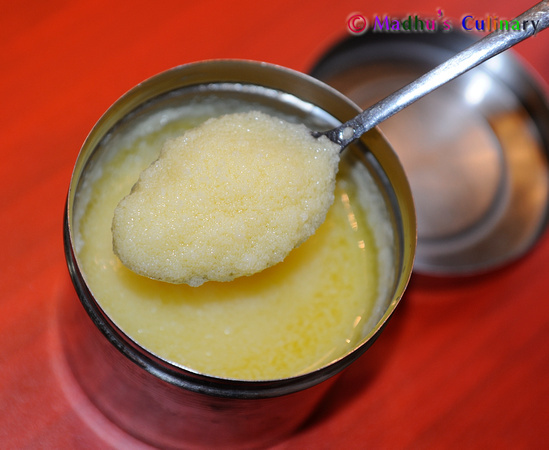 Squeeze it carefully by rotating the ball of curd as it will be hot to touch. Take a Strainer and place it on the top of a plate. 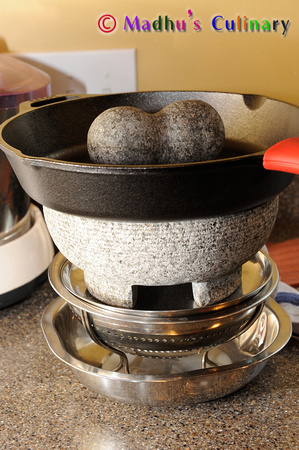 Place the Curd Paneer ball (along with the cloth) and place the flat heavy Iron Skillet on it. And leave it for minimum 2 hours. You can substitute some other heavy item for it (atleast 2 Kg+). After 2 hours, gently remove the cheese cloth. 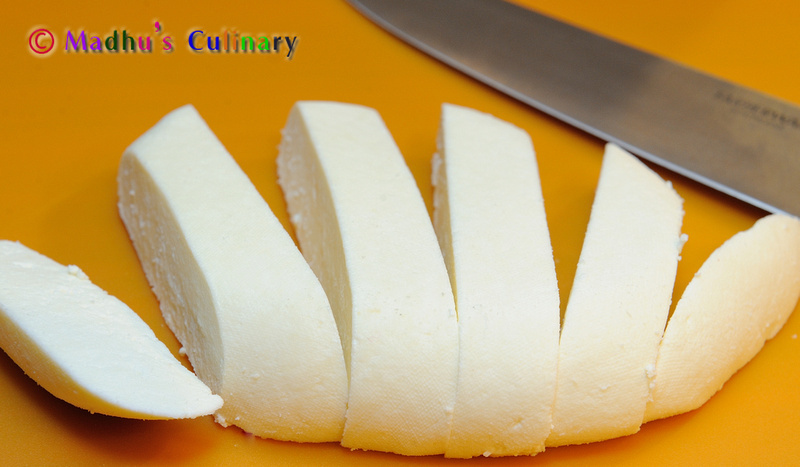 You can see the smooth formed Paneer. Cut it to your desired shape. You can consume it within 2 to 3 days if kept in the Refrigerator. If going to keep long term, keep the Paneer in the zip lock bag and store it in the freezer. When you want to use place the bag in the hot water. 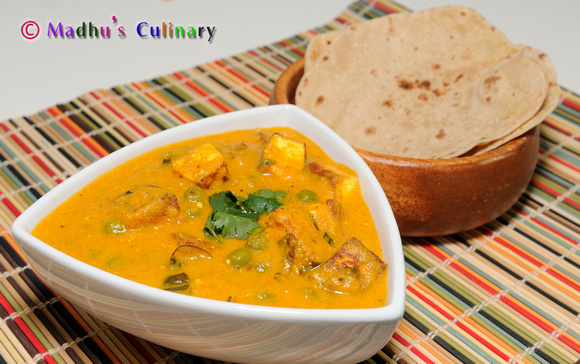 Start making your favorite Paneer recipes. Important: Don’t throw the whey water away. You can use it for knead the dough. Or use it for making soup. Its rich in Protein. 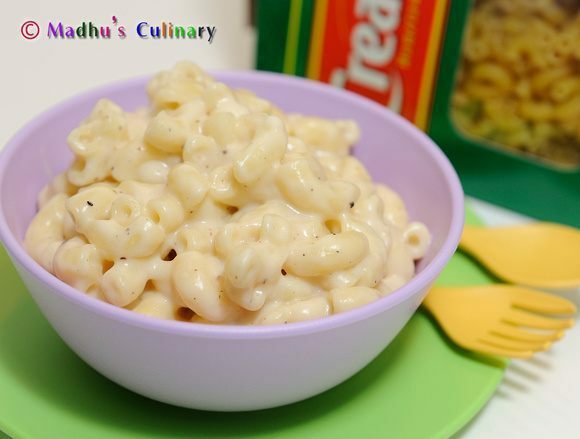 You can use Whole Milk also instead of 2 % milk – just dont use non fat ones. 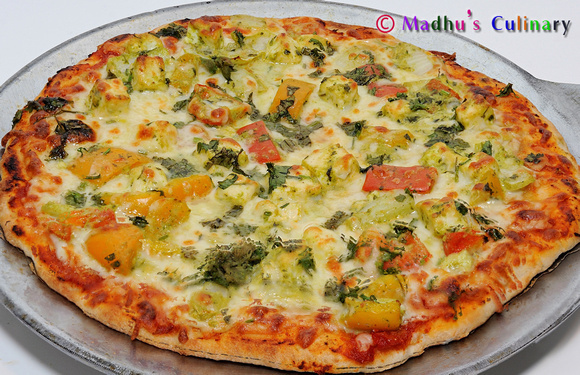 You can drain the Paneer in the desire shape like round/rectangle etc.